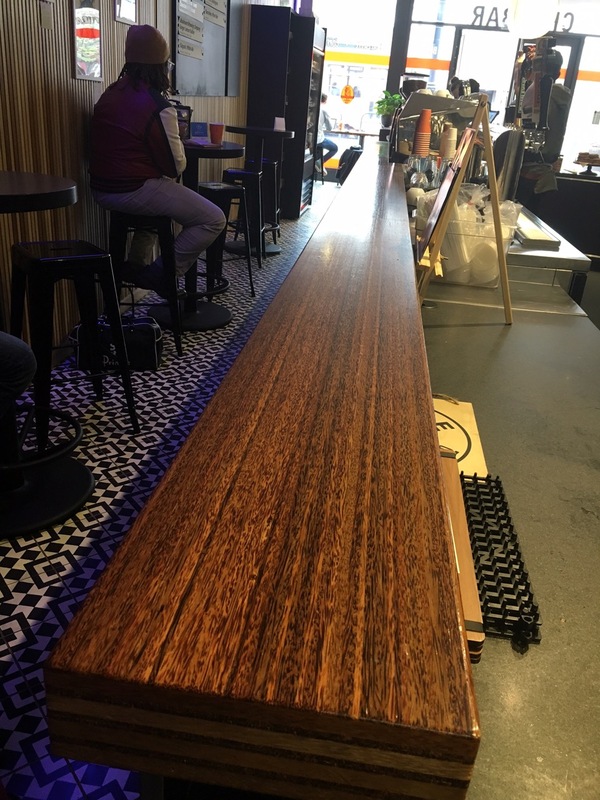 Built-out and opened in May 2015 on the ground floor of a historic building at 1019 Market Street in San Francisco, Chai Bar used our Durapalm edge grain coconut palm plywood here for large booth seating area tables, some as large as 5’ x 12’ and then narrow bar tops in the front windows and around the Chai/beer bar. 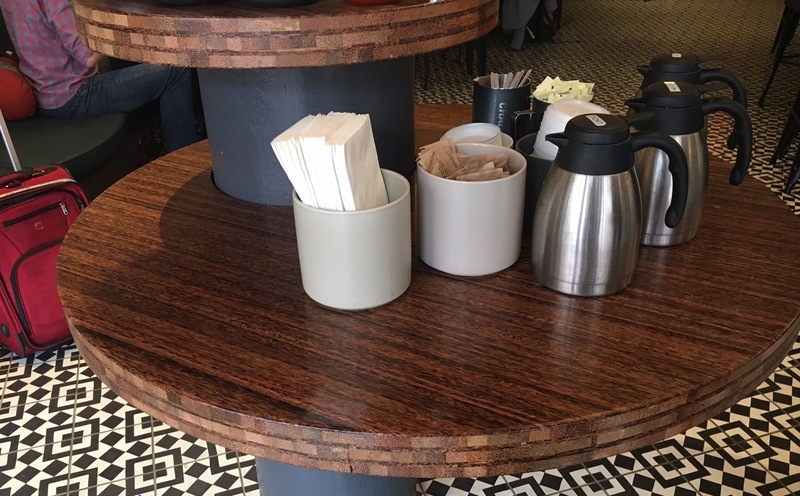 Durapalm was also used in the pastry case for shelving to showcase its offerings, and fabricated in round shapes as an area for food and drink, post-preparation, for customers. 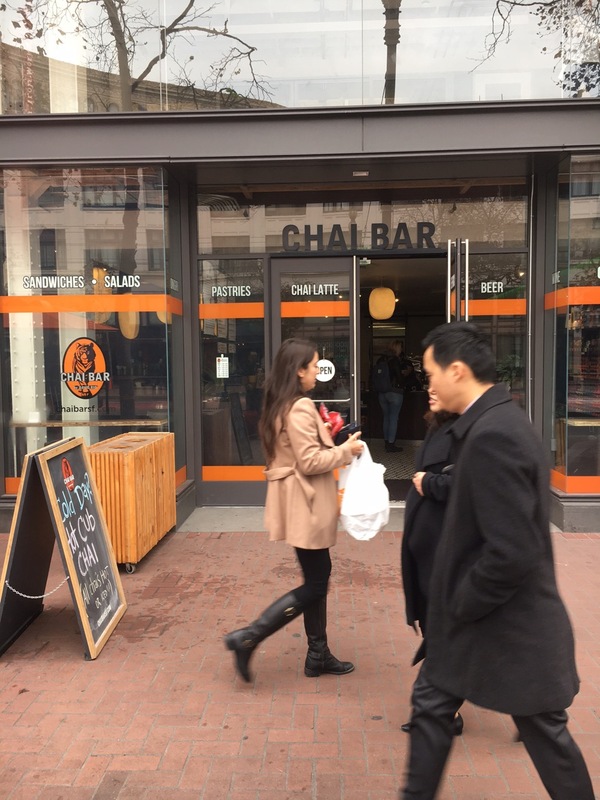 In addition to offering exceptional service and superb products, Chai Bar by David Rio stands behind protecting endangered, at risk, or vulnerable animals. 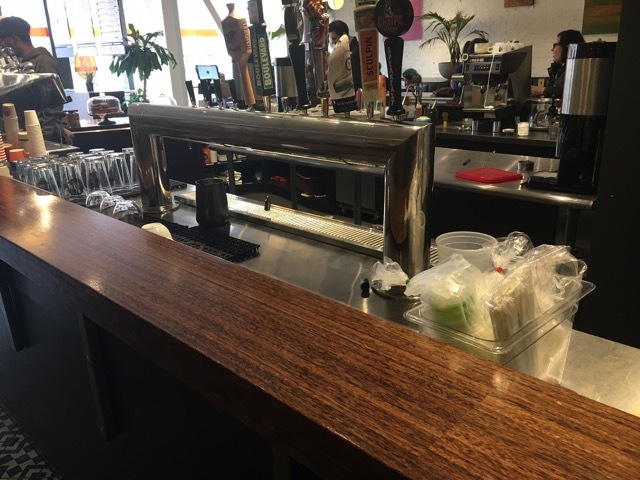 This commitment is also reflected in the names of its chai products served and David Rio's donations to the International Fund for Animal Welfare's (IFAW) tiger and elephant initiatives. Donations made to IFAW aid in the rescue and rehabilitation of orphaned tigers worldwide and the preservation of 1,400 elephants in the Amboseli National Park region of Southern Kenya. To learn more about David Rio's commitment to animal welfare, visit its website at http://davidrio.com/animal.html.